My head is still reeling. 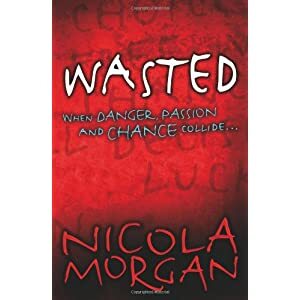 I finished reading Nicola Morgan’s Wasted this morning. Usually, I don’t have a chance to stay in bed and read in the morning, but today, by chance (or luck), I had the opportunity and decided to take it. I didn’t toss a coin to decide; I just did what I wanted because I could. Much has been said about chance, luck and predicting the future with reference to this brilliant story. I don’t think so much has been said about guilt, but this is also an important factor. Jack has found a method of coping with his feeling of guilt over an event that occurred when he was very young. His method of leaving decisions to chance, of tossing a coin, is unhealthy and only hides the guilt which shouldn’t be there at all. He couldn’t have known what his actions would cause. We’ve probably all felt guilty at some time. I know I have. I’ve even felt guilty about decisions that have caused harm only to me. But now I realise that I couldn’t possibly have known what my decisions would cause. Wasted is a YA book, which perhaps explains why I was able to read it so quickly. But I suspect I’ll be thinking about it for a long time, and that’s a sign of a good book.